Unfilled balloon size 2 in.L. Summertime would not be complete without a water ballon fight. 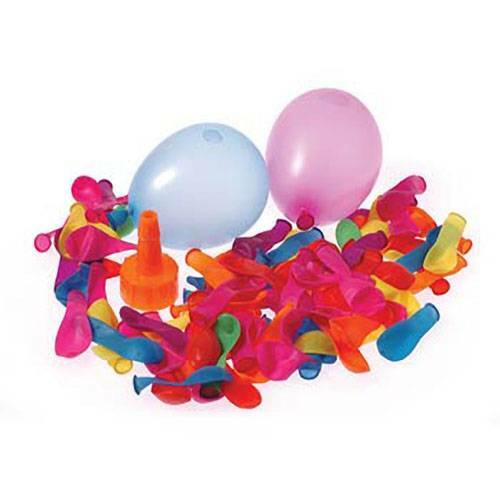 Great for those brutally hot days in July, this water balloon bomb set includes 100 water balloons and a funnel to help fill them. 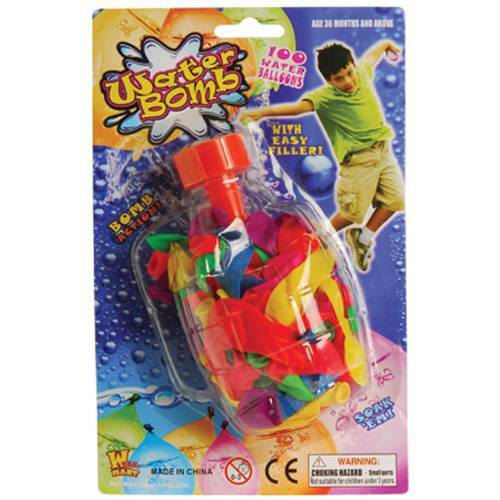 Get the kids outside for a good old fashioned family water war with this water toy. A fun activity for birthday parties and other summertime events, can be used in relays or for a new take on dodge ball. The fun is endless with these balloons.